The Municipality of Anchorage settled its lawsuits against contractors in the failed port expansion project last year for $19.3 million, but city attorneys are still aiming to recover much more money in a lawsuit against the federal government. Attorneys for Anchorage and the U.S. Maritime Administration, or MARAD, argued Aug. 21 over whether the federal agency should be forced to hand over an allegedly incomplete engineering report on the problems of the port construction and what documents among roughly 20,000 should be withheld from the court record. Senior Federal Claims Court Judge Edward Damich adjudicated the proceeding telephonically from Washington, D.C. The facility, renamed the Port of Alaska by a vote of the Assembly on Oct. 24, 2017, is owned by the municipality. Anchorage attorney Jason Smith contended MARAD is improperly claiming attorney-client privilege in order to withhold a root cause analysis study done in 2012 by the international engineering and project management firm AECOM . 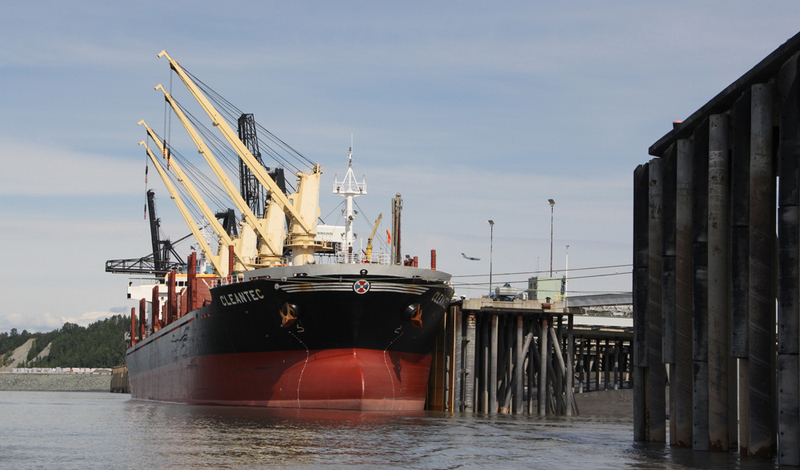 The municipality commissioned MARAD to oversee the expansion project, which began in 2003, as a way to direct federal funding to the Anchorage port, which is designated as a national strategic defense port. MARAD, in turn, hired Integrated Concepts and Research Corp. to manage the project. ICRC settled with Anchorage in January 2017 for $3.75 million, one of seven settlements with design and construction contractors in the project. Municipal attorneys have said they are looking to recoup upwards of $340 million between the two lawsuits against MARAD and the project contractors. About $300 million was spent between state and federal funds on the project that yielded little. Most of the sheet pile dock structure, which was not finished when work stopped in 2010, has been removed. The municipality sued MARAD in February 2014 in federal contract court, a lawsuit that has progressed slowly as the private-party suit was ongoing. MARAD was also blasted for its alleged inattention to managing the Anchorage project as well as other Pacific port projects in an August 2014 Inspector General report. MARAD attorney Jeffrey Regner said the AECOM study was done roughly at the same time that CH2M (formerly CH2M Hill) was conducting a suitability study to determine whether or not the patented Open Cell Sheet Pile dock design was appropriate for the port with great seismic risk. The AECOM study was expected to be “short, sweet and to the point,” Regner told Judge Damich, adding it was left in draft form and was never intended to be shared outside the MARAD counsel office. “I think the good news is we have CH2M Hill doing parallel work at the same time,” Regner said. The conclusions in CH2M’s study that the design and construction in the project were both problematic led in large part to the municipality suing the contractors in 2013. Smith argued a root cause analysis is a specific type of engineering study to determine, as the name implies, the fundamental reason a project failed and had a different purpose than CH2M’s suitability study. The relationship between the city and MARAD really began to fall apart in September 2012 when MARAD settled with ICRC, allegedly without notifying the city of the deal. Regner said “it was at most days,” after MARAD officials decided to settle with ICRC before municipal officials were notified. Damich noted there is nothing in the record to indicate MARAD told the muncipality that it was going to settle with ICRC. Smith also said the log of roughly 20,000 documents MARAD attorney’s contend are privileged is unreasonable, noting that 8,000 or so don’t have sufficient descriptions and more are labeled with attorney-client privilege. “We shouldn’t be burdened to go through a privilege log with 20,000 entries to determine which ones are privileged and which ones aren’t,” Smith said, adding the agency’s factual position has changed several times during the suit that has yet to go to trial. “When you’re dealing with 20,000 documents you’re going to make some mistakes it seems to me,” Damich commented. Regner said MARAD’s attorney’s started with upwards of 15 terrabytes worth of documents and whittled those down to the 20,000. Discovery in the case is scheduled to be finished by March 2019.